In today’s In The Spotlight we’re speaking to one of the hottest DJ Live acts around: the dynamic DJ Union Collective! 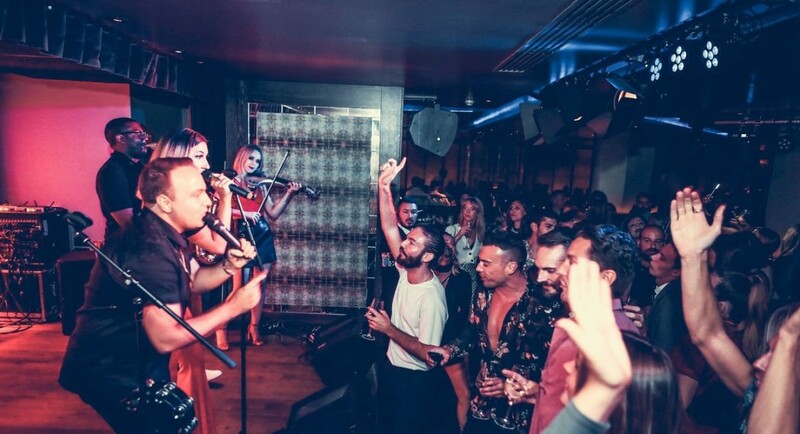 This ultra-modern act fuse the spectacle of a live band with the rhythms and remixes of a pro DJ, resulting in a bustling dance floor bouncing to undeniable pop, house, funk, soul, R’nB, rap and party favourites. 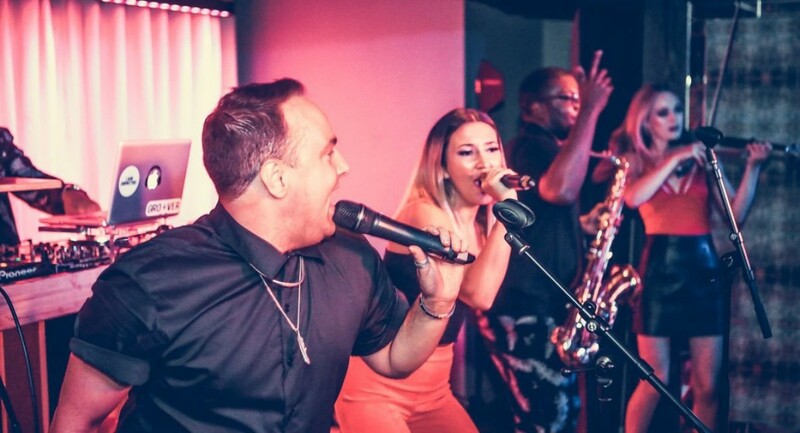 The collective consists of magnificent male and female lead vocals backed by a sax player, a percussionist, a rapper and beatboxer, and a DJ. The full exciting show is brought together through top-quality sound and lighting, including lasers and strobes for that Ibiza party vibe. DJ Union Collective’s lead singer and manager Simon had a chat with us about this exciting act. Who are DJ Union Collective? Which song is your favourite to perform? Which is the song you can always rely on to fill the dance floor? Do you get on with each other all of the time? Who has the most annoying habit (and what is it)? What’s the best thing about being in a band? … and what’s the worst? What’s the weirdest thing that’s happened to you at a wedding? What would you do if you weren’t a musician? A big thank you to Simon and the DJ Union Collective for answering all our questions! If you’re organising an event and DJ Union Collective are the act for you, then visit their profile to find out more! Whatever the event you’re planning, here at Entertainment Nation you’ll find the perfect entertainment to make it an unforgettable occasion. Check out our range of the best bands for weddings, party bands and corporate entertainers, or get in touch with our dedicated team for advice and inspiration between 10am and 10pm every day. Read more about our amazing acts! "Myself and my new husband Daniel would like to express our thanks to Wildcard and Entertainment Nation. The whole process has been so smooth from watching the high quality promo videos, to booking our band and working with them to create our ideal playlist and timings. Rachel was extremely helpful throughout and was always available to help and answer any questions I had. Wildcard are absolutely incredible. They are extremely talented musicians and our guests absolutely loved them! They were friendly and looked great! I would recommend them to anyone looking to host a great party perfectly catered to you and your guests! I give them 5/5 without question." We have had a chat with one of the most in demand bands in the UK right now, the Dance Floor Fillers!